Your management system consists of business processes that interact with each other through documents and records. Yet in many companies the system appears to be functioning whether anything is documented or recorded. Can this be an effective management system? It depends on the process management maturity level of your organization. In learning about our own business processes, we have identified a five level model of Quality Management Systems or QMS Maturity Levels to describe the phases in which an effective management system comes to life. If you are on a path of continual improvement, you may find it useful to consider the concept of process maturity. Is your quality management system in a constant state of repair? Each day brings new surprises: situations arise, errors are discovered, customers complain. Did that supplier deliver the wrong parts again? The Reactive Phase of the QMS Maturity Levels is, well, reactive. There is no system for using information for improvement. The staff deals with problems as they are realized according to priority and resources. Issues are addressed one by one by individual staff members who are doing their best to get things done. Each customer complaint, shipping error, or other problem starts a reaction. Every day seems different even though the same type of problem might arise again and again. In Phase One of the QMS Maturity Levels, processes are not well-defined and have little meaningful documentation or effectiveness criteria. Tribal knowledge rules, while training programs are weak. Employee experience is gained primarily through OJT — On the Job Training. Who is really the customer or supplier? What is important or critical in terms of process success? To understand your processes, you can start with a process map, build value stream maps, or write policies, procedures and work instructions that help create understanding about the process. Of course, one concern is that creating a system of documented process could become an overblown bureaucracy, but the goal should be to keep it basic, and build on it as you go along. It is easier to add critical pieces when identified to a basic process map than it is to simplify an overwrought process document or procedure. As a starting point, we only need enough documentation to get the job done. The intent of the documentation phase is to create operational definitions for your processes. Well-defined processes have clearly identified suppliers, inputs, outputs, and customers (SIPOC). Procedures define who does what, when, and where. Work instructions explain how a particular task within the process is performed. Forms are created, controlled, and distributed and should be re-enforced with training so that workers know how and when to use them. Completed forms create the records that capture key process data — important information needed for improvement. This is the beginning of a quality management system. The intent of the Documentation Phase is to collect data (records) from your processes that you will employ in the next phases and lead to real improvement. 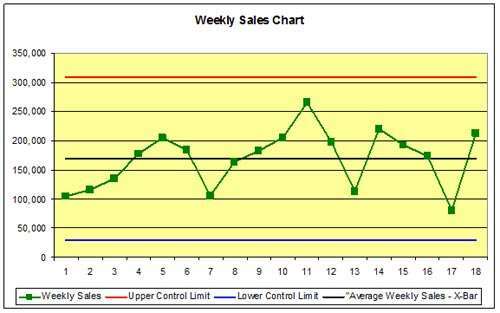 To move out of the Documentation Phase you will need to chart, trend and analyze your data. 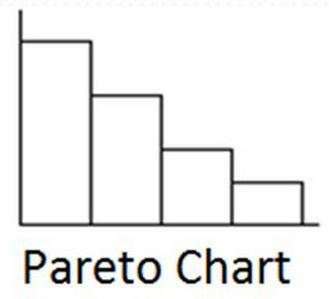 Typical tools used to get out of this phase include Pareto charts, histograms, run charts, and SPC (Statistical Process Control), all critical pieces for phase three. 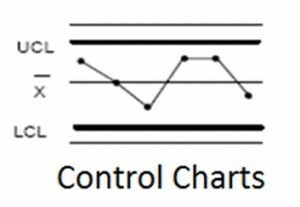 Now is the time that we need to start to think about continuous improvement with control charts in order to move through the Stability Phase. Stability is how we want our quality management system to be characterized. Stabile processes allow us to drive real improvement. That’s because there are only two real actions you can take in process improvement. The first is to make unstable processes stable (our goal for phases two and three), and the other is to make a stable process better (our goal for phases four and five), which is also referred to as improving process capability and results in shrinking the control limits of our stable processes. In both cases we need data recorded (these are our ISO records) describing such things as process defects, process metrics (we also call these effectiveness criteria or key performance indicators) and of course process targets (could also be called our quality objectives derived from customer requirements). As you can see the Stability Phase is all about data analysis, which is used to derive knowledge and wisdom from information. Using this information we should be able to identify common cause and special causes of process variation. 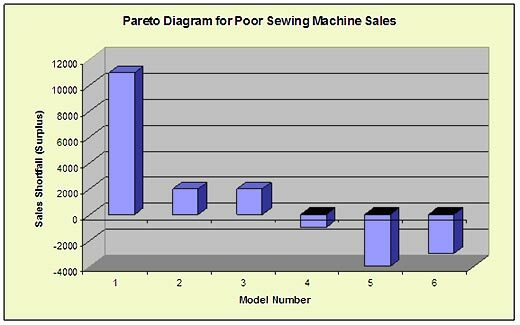 Common causes result from the process design. If we see common causes of failure then we need to redesign the process in question. Special cause results from something identifiably or special occurring. We need to isolate the identifiable cause and eliminate it using root cause analysis. Using control charts we can ascertain whether either common causes or special causes of process variation are present and then take the appropriate actions. To get out of the Stability Phase and move into the Corrective Action Phase we need to start using cause-effect, scatter, and fishbone diagrams as part of our root-cause analysis. In lean we may use takt time to balance production lines or Overall Equipment Effectiveness (OEE, which could also be called manufacturing effectiveness). In Theory of Constraints we look for the one constraint to flow. Many quality tools are at our disposal. The trick is in learning which one to use and in deciding which business process you should improve first. You may recognize your organization as stuck in phase one or two, the two most common process maturity levels in many organizations. Some organizations are able to advance farther up in management system maturity to the stability phase. Moving up the process maturity chain can mean big organizational improvements. As you gain process maturity, processes become more effective, and eventually more efficient as you focus on what customer’s value, thereby eliminating waste. The Corrective Action Phase is either about process re-design to address common cause variation, or it is about root-cause analysis to address special cause process variation. Deming pointed out that about 85% of process defects are the result of common cause variation, so it is important to understand this concept. 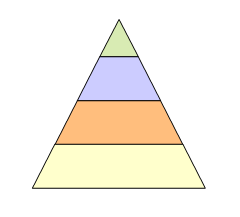 All processes have variable output (not completely consistent). 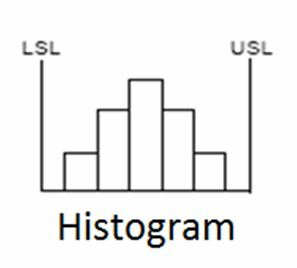 The question to ask is, “Is the variation we experience common variation” In statistical terms we call this random variation. (If it is not random then the variation has a special cause.) This expected variation is really the capability envelope or capability range of the process. If you are unsatisfied with the capability of a process, then the only solution is to make the process more capable through a process re-design. The original design or documentation was done in Phase Two. Phase Three, which we call Process Stability, is basically the check step for Phase Two, where you ensure the process’s capability and take action to improve it as necessary. In Phase Four of the process maturity scale we are tweaking the process design in a cycle of continuous improvements. There are several methods you can use to accomplish this process improvement. Quality Function Deployment (QFD) is a design tool that can be used to understand and rank the customer’s needs, wants, and desires, which make up the basis of your value proposition. Six Sigma uses a host of quality tools to manage the whole corrective phase. DMAIC (Define, Measure, Analyze, Improve, and Control) is the acronym for the Six Sigma process of corrective action. But corrective action is internally focused on how we correct common or special causes of variation. If we continue down this path we will eventually realize a diminishing return on our efforts, as we focus on smaller and smaller problems. Once we start reaching diminishing returns (i.e. the investment of time and money needed to correct the problem outweighs the benefits gained) through correcting problems, the goal should be to move past the Corrective Action Phase. We need to start thinking more externally and about what could go wrong, but hasn’t yet. 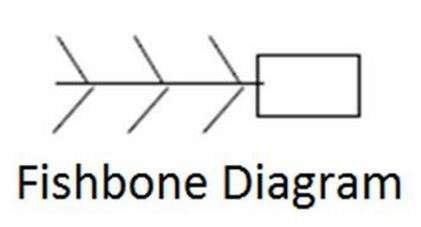 We are ready to employ tools used in the Preventive Action Phase: Benchmarking, Failure Modes Effects Analysis (FMEA), Design For Six-Sigma (DFSS), or Poka-Yoke. The Preventive Action Phase is all about preventing defects and errors before they occur. We need a really good system for customer feedback, benchmarking, and external data collection. In addition, our employees need to be flexible, be willing to try something new, and be unafraid of mistakes or critical comments. The organization as a whole should be spending more time on preventing defects than correcting them. Management, however, has to be careful not to harvest the profits from all of our good work using job cuts (known as the Iron Law of Layoffs). “When product quality is bad use quality engineers, when product quality is good lay off the quality engineers.” If we lay off the quality engineers, then who is going to focus on problems that have not occurred yet? After all, isn’t that why there are fewer defects? Once you lay off the quality engineers then the defects will start coming back, and you have started a vicious cycle. We may start to use Hoshin Kanri for strategy implementation and we may start new market development. As we venture into uncharted waters, we are actually reentering Phase One again with new processes and methods. Now we are back to the Reaction Phase. The cycle is complete. Now we have discussed all five phases of management system maturity. It starts out as reactive, moves into documentation, and then stability before we can really have corrective and preventive actions. Yet, many companies try to implement it all at once and get overwhelmed, or they get stuck somewhere in the first two phases. 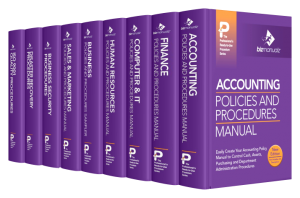 Few organizations are able to implement a truly effective management system of well-defined policies, procedures and processes. Have you figured out which phase your organization is in? If you are like many, you might think your organization is a composite of all of the phases. This could mean that you are trying to do a little bit of everything. Or maybe some of your processes are farther along than others. Either way, it is a good idea to align the organization to the same goals and try to get all of your processes to the same maturity level. You may recognize your organization in Phase One, the process maturity level of many organizations. Few organizations are able to advance much farther up in management system maturity. Remember, you are only as strong as your weakest link. It will be more important to have all of your core processes complete Phase Two, where all processes are documented and you began to keep important process records, than to have a collection of processes at different phases. Your weakest process could hold the others back. To move past Phase One you must start to document your processes, start to write procedures, think about more effective training, and develop process maps. But that shouldn’t stop you from implementing your strategy now that you know how it’s done. Step through the phases one at a time. Do your best to get out of the reactive phase as soon as possible. We believe one effective way of building an effective management system is by employing the requirements set forth in the ISO 9001 Quality Management System Standard. Building an ISO 9001-based quality management system provides the framework to move out of the reactive phase because all of these steps are part of building an ISO management system. The ISO 9001 standard spells out the requirements of a Quality Management System but leaves it to organizations to use the methods they want to use to meet those requirements. If you need help, give us at Bizmanualz a call. We can start with a simple Gap Analysis that will identify what where you are in your process maturity and clarify what your next step should be. With a little help from a company like Bizmanualz, you could achieve the effectiveness you are looking for in your management system.